In these days of smartphones and small, mirrorless cameras, the venerable camera bag can all too often be looked upon as a vestigial sack designed for a more cumbersome age, in which the only way to take truly great pictures was to carry around a skull-sized SLR and myriad lenses, flashes and fongs. The truth is, though, that for photographers amateur and pro alike, there are some kinds of shots you can only get with an SLR, and if you want to get them, you need to have a lot of gear at hand… and toting it around is not only uncomfortable, but more often than not, pretty unfashionable. 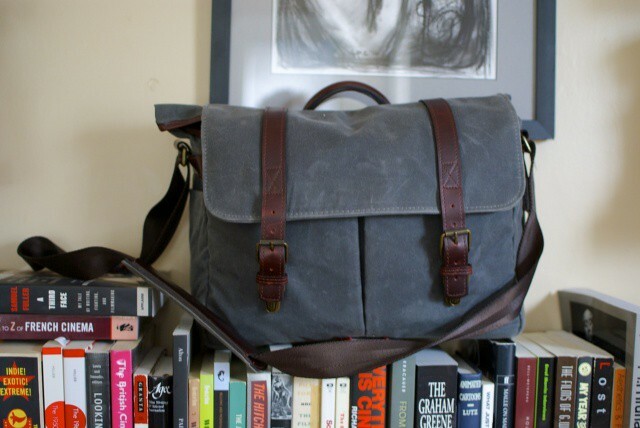 But that’s not the way it has to be, as Ona has proven with their latest camera bag, the Brixton. This isn’t just a functional camera bag, or a great laptop bag (although it’s both): it’s a bag to set pretty much anyone slavering. The Brixton is described by Ona as a “camera and laptop messenger bag” and that’s a fitting description: this is a bag aimed at a specific sort of modern photographer who not only has a fair amount of camera gear to lug around, but also needs to carry a MacBook Air or iPad with them for on-the-road digital touch-ups. Handcrafted of water-resistant waxed canvas and featuring some beautifully ruddy full-grain leather straps and accents, the Brixton is, simply put, one of the handsomest bags we have ever reviewed. It comes in two colors, beige and smoke, and looks at a glance like the sort of bag you might have seen Max Beerbohm traipsing around Oxford with. It’s a sickly fashionable bag that looks like it has been plucked from a bygone era of craftsmanship, right down to its gorgeous brass clasps. Inside the Brixton’s main enclosure, you’ll find a small section perfect for carrying a MacBook Air, iPad or other 13-inch laptop with you. On the other side of this sleeve is a wider chamber for camera equipment, complete with velcro dividers that can be rearranged to closely ensconce your SLR, lenses, flash or other camera equipment. These can also be removed entirely, so if you want to use the Brixton to carry around your schoolbooks, it’s a quick and easy mod. As a personal note, I can also say that these velcro dividers do an admirable job of keeping a few bottles of booze from clinking together on a Friday night. Everything’s lushly padded to guarantee that your equipment will stay safe, even if you’re a little careless about slinging your bag around. There’s more pockets, of course. Beneath the Brixton’s flap are two smaller pockets, perfect for carrying small notebooks, paperbacks, notebooks or any spare cables you might need. 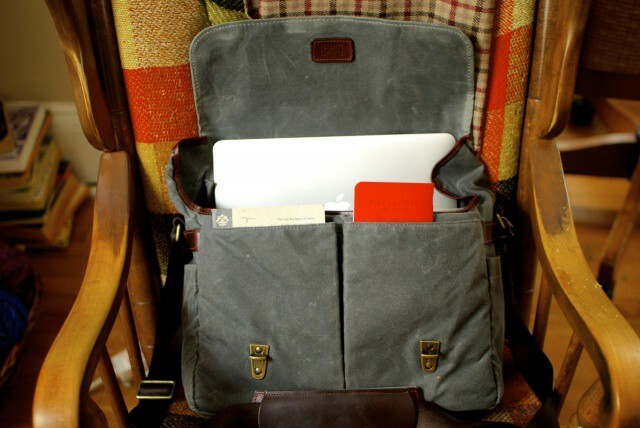 On the hip side of the Brixton is another narrow pocket, useful for keeping papers or a magazine. The Brixton secures itself with two beautiful leather straps tipped with brass clasps. 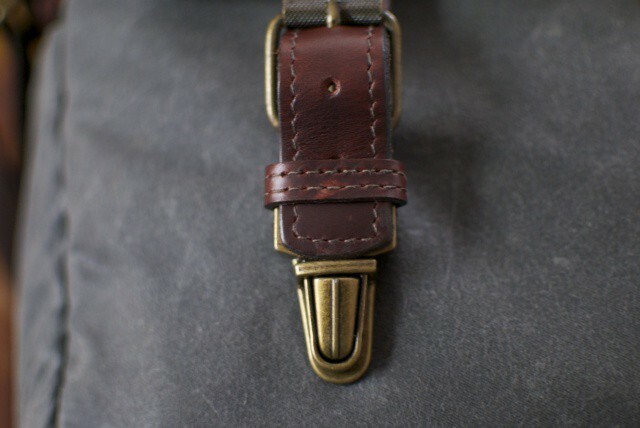 The tightness of these straps can be adjusted much like tightening a belt, which is about the only criticism of this bag that we have: it can be easy to forget that the buckles at the end of the straps are for tightening the bag and not opening it, which can result in the male tip of the brass clasps falling off the Brixton during forgetful moments. We quickly got the hang of it, though. The Brixton slings comfortably over the shoulder thanks to a wide, soft strap buffered by an absolutely beautiful leather shoulder pad. Because it’s made of stiff leather, this pad needs to be broken in at first, but like a Brooks bicycle saddle, once it’s broken in, it’s incredinly comfortable. 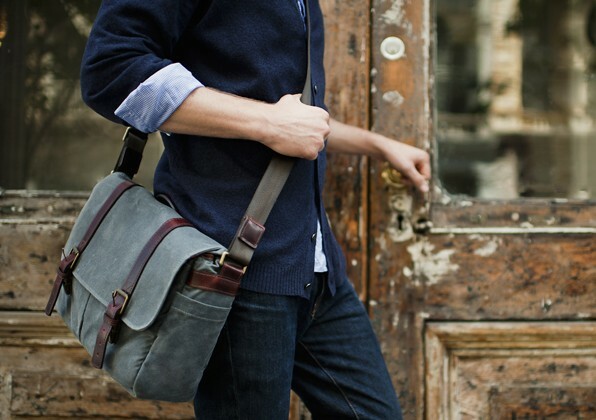 In addition, you can sling the Brixton around using its securely stitched leather handle. There’s no other way to say it: we love this bag. It’s just exquisitely handsome and versatile: not only is it an excellent camera bag, big enough to carry three lenses, an SLR, a laptop and assorted bits and bobs aside, but it’s so good looking that unlike any other camera bag we’ve ever owned, we actually started carrying the Brixton around as our default on-the-town bag. 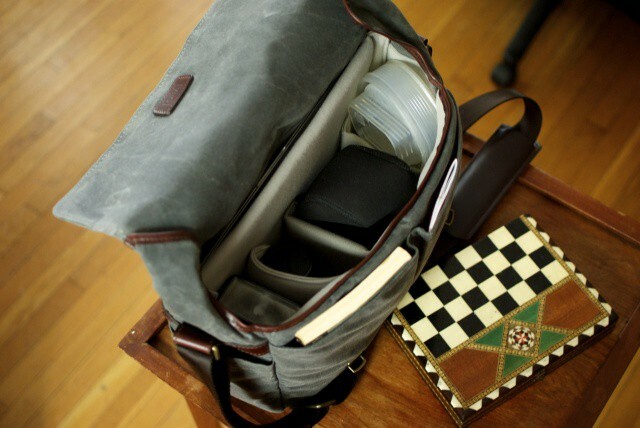 Image courtesy of Ona Bags. Even if you don’t have an SLR camera, there’s a lot to be said for the Brixton as being one of the best and most fashionable bags you can buy. It’s not cheap, though: the Brixton will cost you $269 through Ona’s online store. If you can afford it, though, the Brixton might not just be one of the best bags you’ve ever bought… it might get you into GQ.